The Jamaica Hope Foundation is a non-profit organization that exists to improve living conditions for families in Jamaica. Through our individual and family support programs and community integration, we impact the daily lives of Jamaicans living in or on the edge of poverty. The island nation of Jamaica ﻿has a population of 2,808,750 (2014) in its 4,243 square miles. Though living in a developing nation, many Jamaican families struggle to exist due to high unemployment, high inflation, and rising prices for food and basic living supplies. "Time never stops for the lives of these people. Hunger, filth, disease are all bed-fellows for the many that live here. The little boy playing in the mud and decay is living the same hour, minute and second that the old woman down the street has to endure. A smile has not crossed her lips since...too long to remember. These people are searching for that one grain of hope...that single thought of purpose to what they experience, day in and day out. No, the dreadful anguish of time does not hold still for the people that "live" here. 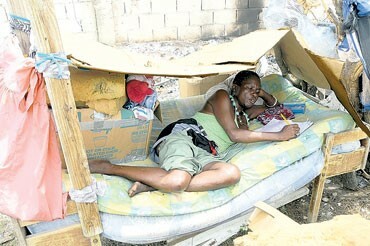 Jamaica faces increasing homelessness, poverty, and hunger. Low-income housing projects remain uncompleted for decades and welfare payments have been cut in response to government budget deficits. 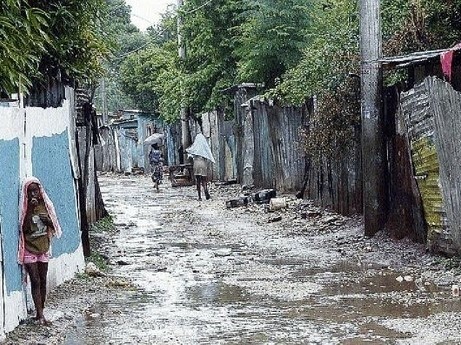 Poverty-stricken Jamaicans typically live in shacks or other harsh living conditions in squatter settlements or urban ghettos. One example is Riverton Meadows (formerly Riverton City). 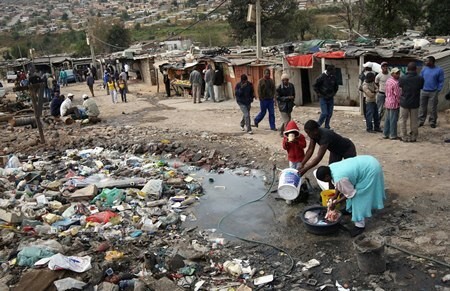 The city garbage dump is known for the thousands who live in shacks and rummage through the trash looking for items to use or sell as their source of income. Families in crisis face further challenges for education and healthcare for their children. In Jamaica, students are charged a registration fee that pays for uniforms, books, and lunch. When a family can not pay the registration fee, the student may not attend school. The children not only miss the benefits of education, but also lack healthcare as it is provided through the schools. Lack of adequate living conditions, food, education, and healthcare contributes to an intergenerational cycle of poverty. This cycle must be broken. With your help, we can break the cycle.